Salling Search has been exclusively appointed to recruit for a Senior Key Account Manager at Bunker One Global Account's (BOGA) new office in Houston, US. 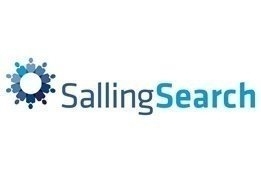 Apply directly for the role on our website by following this link http://adr.to/wj2uc or contact Soeren Salling on one@sallingsearch.com for more info. All communication will, of course, be kept confidential. A unique and inspiring job opportunity as Senior Key Account Manager is awaiting you if you are a natural leader and motivator and keen to make a difference. As a Senior Key Account Manager, you will be a part of a successful and growing key account team which is to be established in Houston. You will be setting up a BOGA representative office and managing the team in America as well as being involved in the future strategic direction for the region. As Senior Key Account Manager, you will be responsible for leading the regional key account team and deliver all agreed annual targets. You will manage the staff in the region while aligning and working closely with the other key account managers in Singapore and London to maximize the value for the entire BOGA group. You will continuously develop the partnership in line with the company's and the customers' business strategy and to their satisfaction. You put subject matter expertise into play in a service-oriented way and create visible and measurable value to the customers' business. You must have strong bunker operational expertise in contract management. You are a strong advisor and create win-win situations by thinking outside the box. Furthermore, you are an ambitious, driven and analytical sales professional with proven sales skills and management experience. Additionally, you have experience with account planning from start to finish, flair for business development and innovativeness, and enjoy being with clients and colleagues. You find it natural to establish good and trusting relationships with customers and colleagues, and you have the skills to influence and ultimately lead others. Your ability to communicate with many stakeholders, both internal and external, will be vital in this role. We expect you to have a minimum of 5 years' relevant work experience within the industry as well as a relevant academic degree.